Are you thinking about implementing digital signage but aren’t sure where to start? You’ve come to the right place! It’s important to understand that digital signage can range immensely in price. You can be looking anywhere from $1,000 to tens of thousands for a single screen, so it’s important to narrow down what it is you’re looking for. This takes into consideration size, interactivity/non-interactivity, features, enclosures, and more. 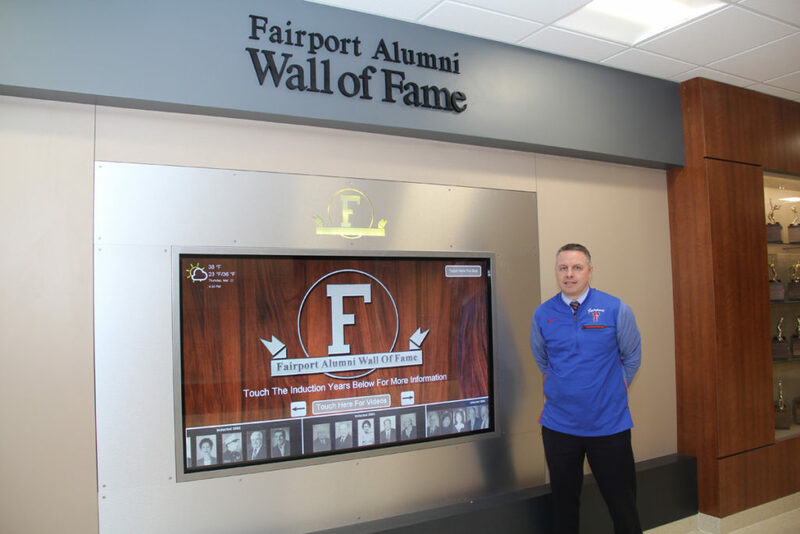 Perhaps the first thing you should think about when you decide you want to deploy digital signage in your facility is who will see it. Will it be internal facing and employee focused, or external facing and member, resident, and/or public focused? For example, an internal facing system will show off safety information, company events, information about payroll, etc. while an external system will have features such as menus, maps, event information, membership information, etc. Knowing this will help a digital signage company’s graphic designers when it comes to designing your content. Once you have your mind made up on who your digital signage will target, you can start thinking about your content, or what is displayed on the screen(s). Will your system be interactive (touchscreen) or non-interactive? 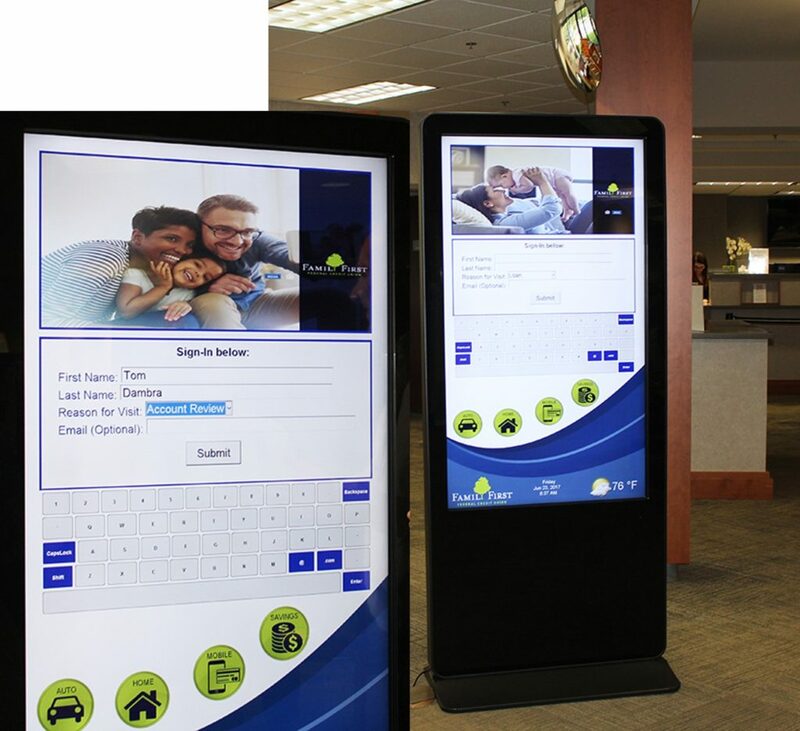 If you are looking to include things like wayfinding, sign-up forms, calendars, or surveys, you’re looking at a touchscreen system. While they are more of an investment than a static screen, the opportunities you have with these are endless. There is always room to grow, try new things, and wow your audience with what you are presenting and what they can do with it. If you decide you’re interested in an interactive system, start thinking of the features and functionality you want your user interface to have and give it an identity. That way, when you go to talk with a company you can give them a better idea of what you’re looking for and get the most accurate pricing and quickest turnaround. 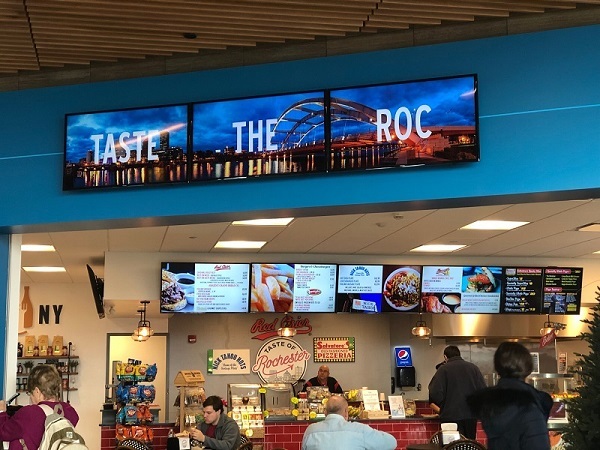 If you’re looking for digital menu boards, digital calendars, a scrolling gallery of images, a static directory, etc., you would most likely need a non-touch display. You first want to decide the main purpose of your signage, and then start thinking about content. Will your screen be zoned to include different sections, or will one image or video take over the screen? These are important things to think about as you talk to a digital signage team and their graphic designers. What will your system look like? How many screens will you need? Do you have multiple facilities that you’re looking to deploy in? This is important to know when it comes to price as well as any variety in content. Are you looking for something small and downplayed or something that will make a statement and attract eyes as soon as someone sees it? This can also depend on how much space you have in your facility. A reliable digital signage company can assist when it comes to the best size for your budget and space, but it’s wise to have some idea in mind of how big you want your display to be. 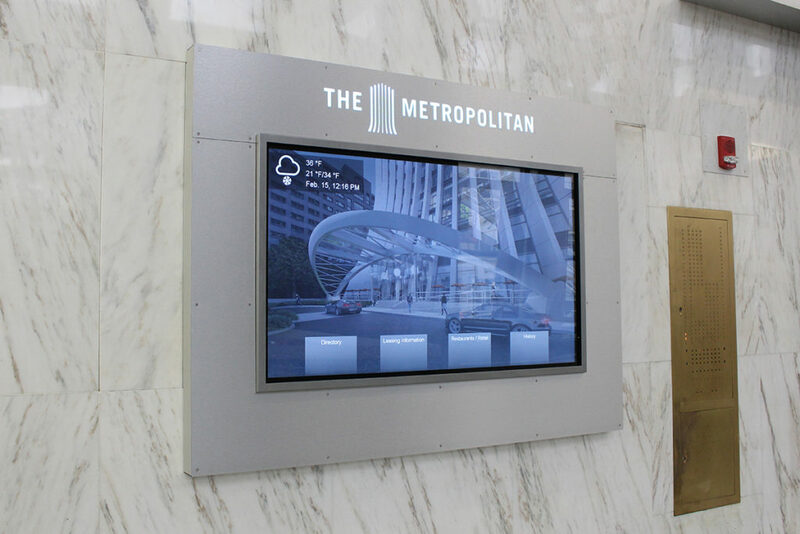 Depending on your space and what you are looking to do with your digital signage, you may want to look at a kiosk vs. a wall mounted system, or vise versa. This really depends on your personal preference and the look you want to have. It also depends on your facility and the amount of space you have. A majority of customers who have interactive systems prefer a kiosk or pedestal style, so that it encourages people to walk up to it. An enclosure is important for two reasons: 1) It will take your display to the next level and look like it really belongs rather than being a screen on a wall, matching the decor of your facility or just standing out more and looking sleek and modern, and 2) it will hide any cords behind your screen – not only looking more professional but preventing anyone from tampering with the media player and cords that are housed behind the screen. Looking for more information or ready to talk with someone? Contact us today!